This weeks blog entry is going to be a little different as there won’t be one thing here about fashion, beauty or accessories! Instead, I am going to share with you one of the most moving experiences I have had in my life and it happened right here, in South Africa. Whilst most of us are familiar with the poverty in Africa, we rarely take ourselves out of our situation and go to see it first hand. In fact, thousands of tourists travel to South Africa each year and only a tiny percentage (mostly backpackers) choose to visit their Townships. Fears for personal safety, theft and a “look-the-other-way-and-it-might-not-be-there” attitude rank high on the list of why. Yet, I think if you want to see the REAL Africa, then you have to make the visit. 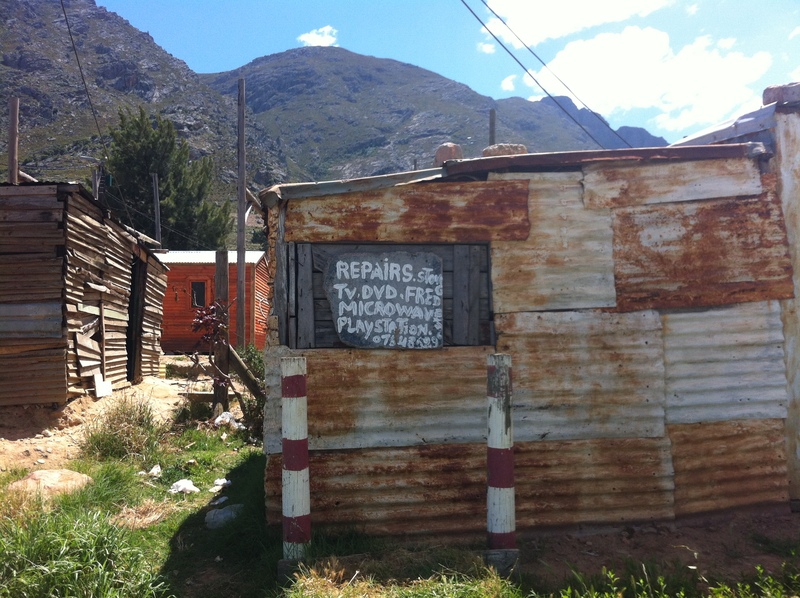 To try to give you some idea of the “problem”, in Cape Town, the population is approx. 600 Thousand people and the population of the Township just outside is over 1.2 Million. These 1.2 million live in homes made up mostly of large sheets of metal, held together in unique and inventive ways. They are small and usually windowless to try to keep the heat and flies out. Whole families live in just one or two rooms, sharing…well pretty much everything! Often homes are packed in close together, decorated in bright colours and made personal to the owners somehow. Some have evolved and are built with brick and depending on how much income the family earn, depends on how decorated the inside is but many still don’t have electricity or access to clean water. This was my second visit into a Township and my first to the one that is nestled just a stones-throw away from Franschhoek, the Cape’s Capital for all things Food and Wine! With a population of 7,000 and stretching for miles and miles, the residents can at least boast of their breathtaking views. I’m pretty sure it beats the local town on that front! My Mum and her friend Sue are regular volunteers at the Liwalthu Creche where they help teach the children English, offer support to the owner/teacher/organiser, Maureen and try to solve those larger issues such as a leaking roof that inevitably come up. 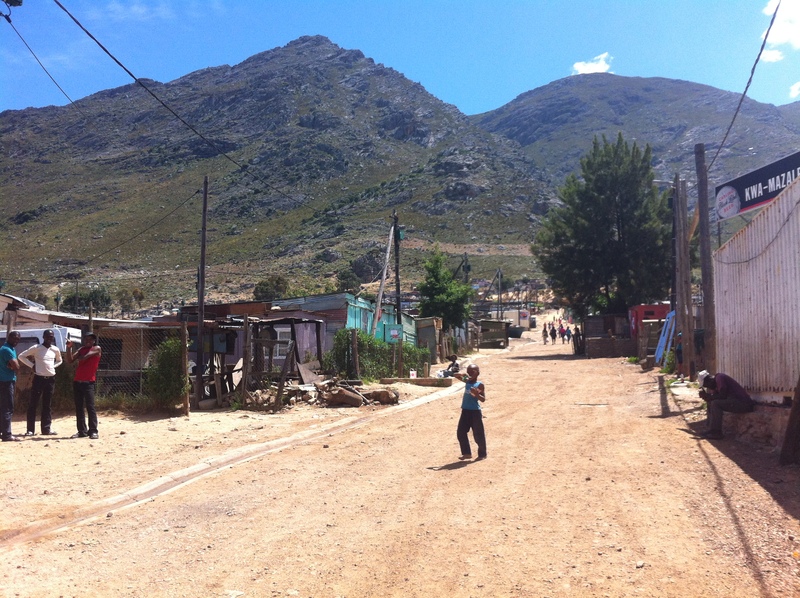 They thought I’d enjoy meeting the kids and I was keen to revisit a Township so we jumped in the car and off we went. The Liwalthu Creche started in Maureen’s home and overtime, she has added an extension to accommodate up to 30 children…”40 at a push” she says with a smile. She has installed a flushing toilet and through donations and fund-raising, kitted it out with Chairs, Tables, Books, Pens and Felt-tips… your basic classroom needs! She takes great pride in her appearance and feels it is only right that the children wear a uniform to instill that sense of pride in them. She has arranged one that is affordable to the parents but insists it is worn at all times. I have to agree, the kids looked beautifully turned out and clearly it gives them a sense of belonging and self-confidence. One showed his off to me, running to get his jumper for me to admire, another “did a twirl” and all wore big smiles too. A typical day for Maureen starts at 5am. Until recently, Maureen worked, taught and organised alone. She is a “hero woman” who does all this whilst raising her own family (who are polite, intelligent and friendly) and attending classes to further her own education. Children start arriving from 6:30 depending on what time their parents have to leave for work. 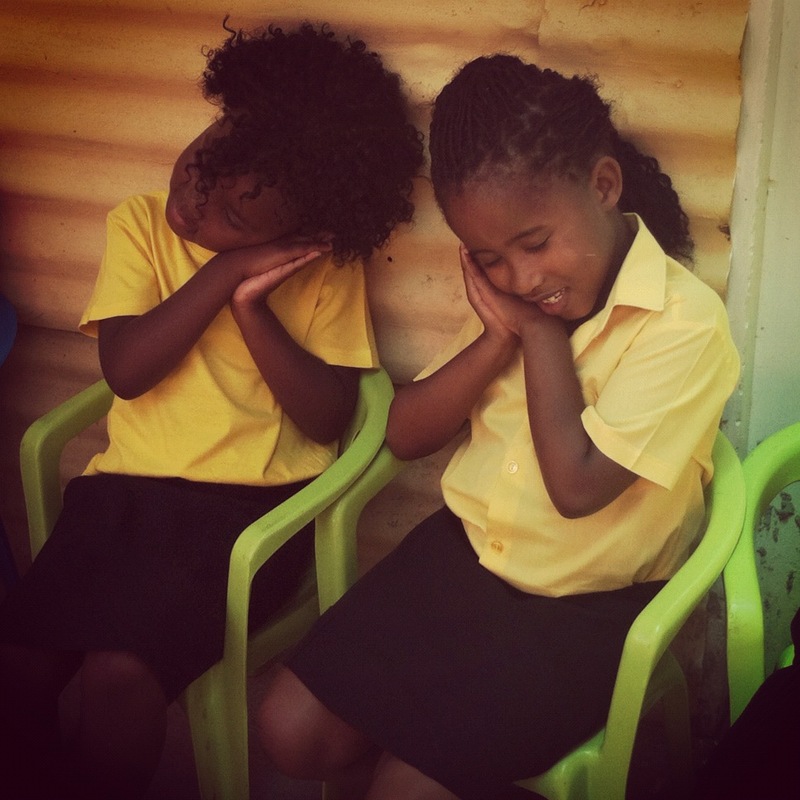 She lets them use the toilet as many ofthem don’t have one at home and they can then sleep until 9 when classes start. 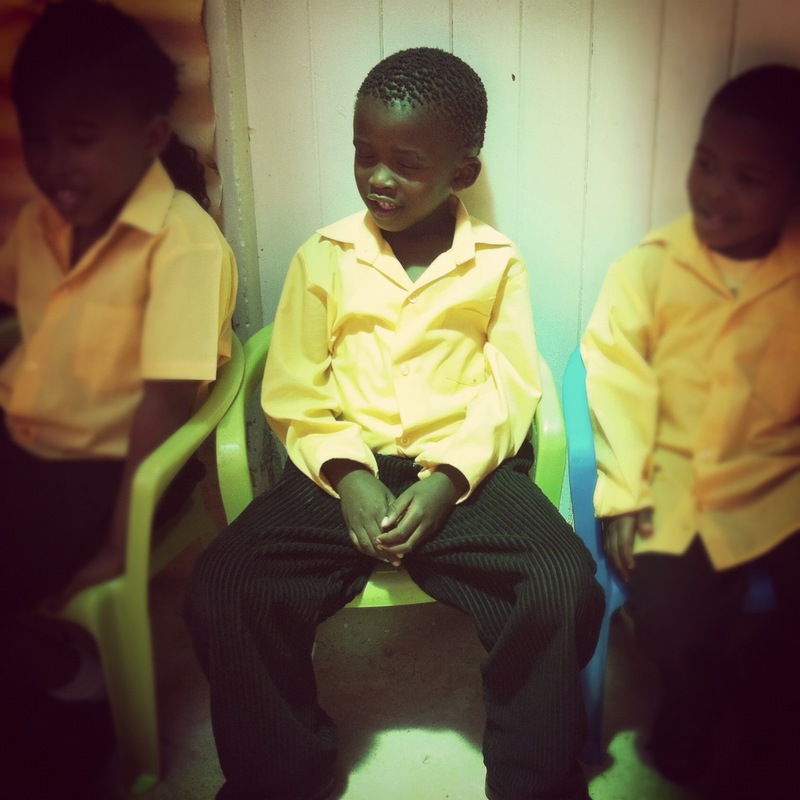 I met the kids on their last day in school before the Christmas holidays. A local businessman and resident of the township, David, was organising a party for them, funding food, drinks and toys! Everyone’s spirits were high, although I had the feeling they were all pretty much always this happy! Whilst David got the BBQ up to temperature, Maureen had the kids singing songs and dancing and we all sang the alphabet song, allowing them to show off their knowledge! None of the kids had seen an iPhone before, and when I took mine out to take pictures and record their singing, big frowns crossed their faces in wonder of what it was?! I did manage to convince them it was a camera in the end and the smiles eventually returned! It was absolutely magical being with the kids and seeing them so happy with so little. The kids were so polite and friendly, I could have hung out with them for days! David then showed us his latest business venture, a Township Restaurant. He is a registered local tour guide and has pretty much, single handily, put the Franschhoek Township Tour on the map. Until recently, it wasn’t even an option and to be honest, you still wouldn’t want to venture in and “explore” yourself; that would attract the wrong attention. 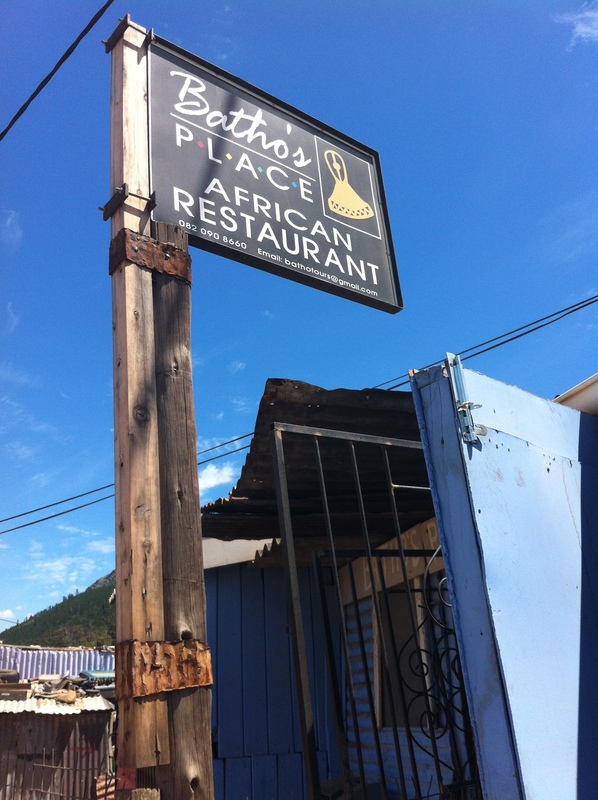 However, David’s Batho’s Palace is designed for locals and visitors to enjoy and serves an extensive menu of local cuisine. 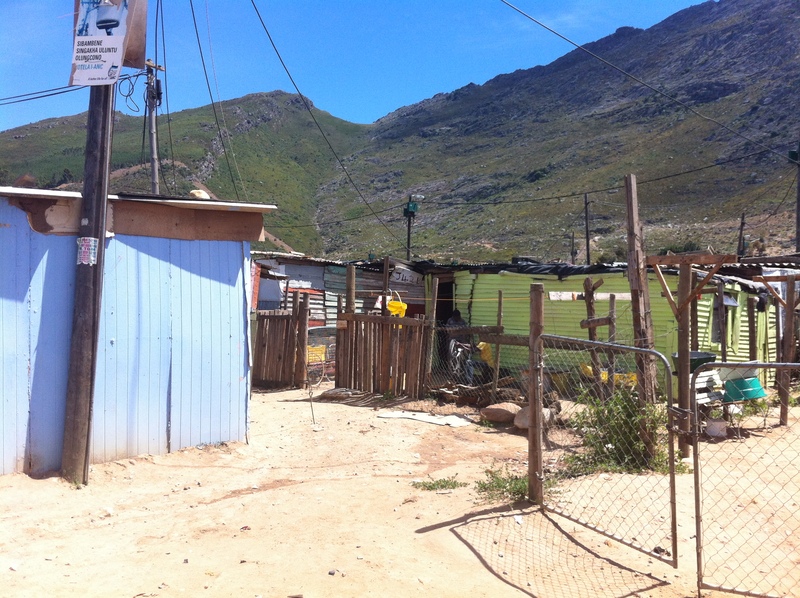 A typical tour with David takes you both to the Creche and to the restaurant all the while, in his safe hands as the residents know visitors can only be a good thing for the Townships future. He organises a Gospel choir to perform whilst you eat, sample the local beer (Umqombothi) tasting! He also takes you to the “White House” for wine tasting and here you also get to try you hand at African drumming! Maureen and David both spoke so passionately about all they are doing to try to help in their local community…and that is what these Townships have such a wonderful sense of, Community. Neither one gains too much for themselves except the feeling that they are doing something to help their situation and the situation and environment of those around them. They have inspired me more in just the few hours with them in ways they won’t ever realise. The hard work they are doing and the efforts they are making won’t give fast rewards, yet their determination, devotion and perseverance are starting to make ripples…and ripples could turn into waves with a little more support for us on the outside. From what I saw, there is too much apathy and disinterest from the locals and tourists alike, who are in a position to help but for whatever reasons, don’t. £8 = R100 goes a long way to feeding these 30 children breakfast each day yet the money isn’t there and it isn’t offered. I am really not trying to preach, everyone of us has the choice to help or not help and whatever choice you make won’t stop people like Maureen and David doing the wonderful work they do. But…if you would like to help by donating clothes, toys, pens, paper or even cash… email David at bathotours@gmail.com – you can even find him on Facebook and he should be able to tell you how! Equally, I am visiting again in March to teach Drama for a month, so feel free to contact me too and I’ll make sure your donations are delivered! 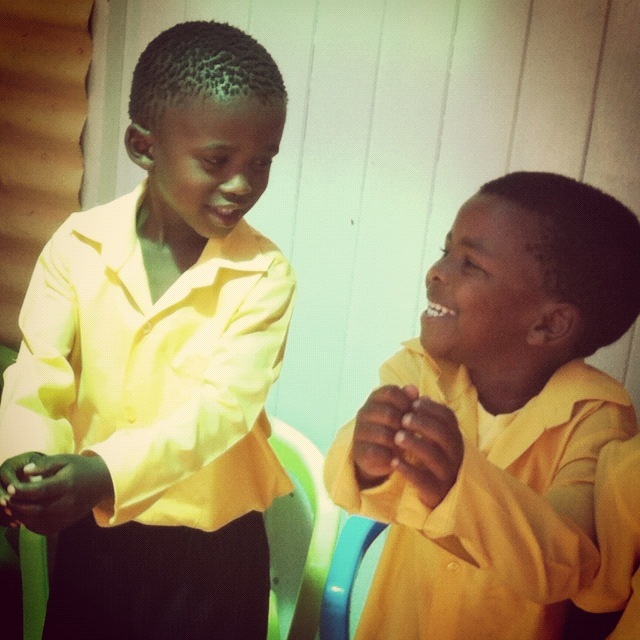 Spend an extra £10 this Christmas on these kids if you can. It really will make the world of difference. If you cannot afford to, then perhaps you could share this blog with your followers and Facebook friends and help me spread the world! 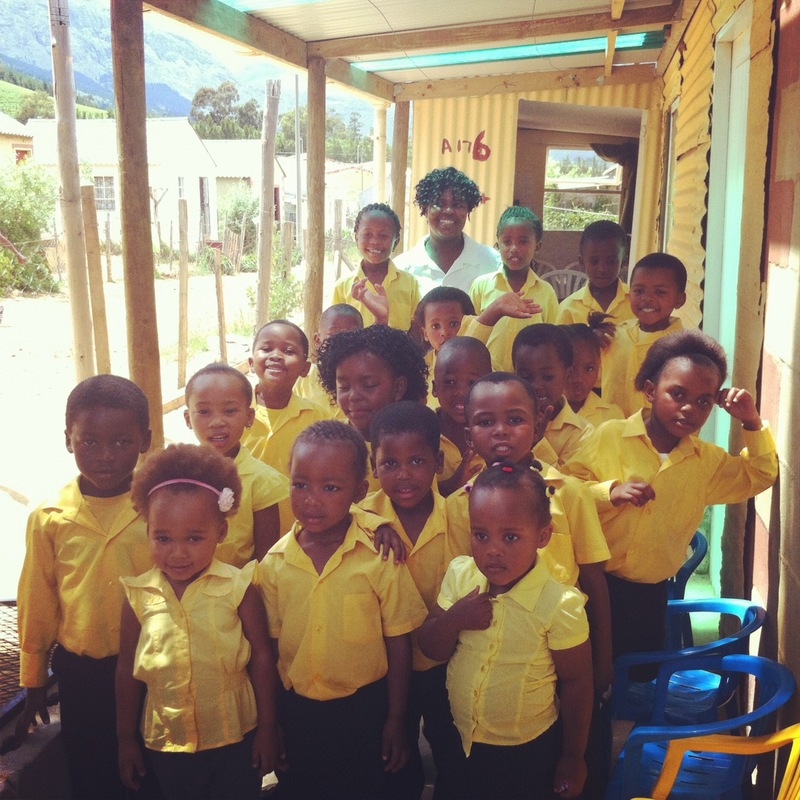 This entry was posted in Travel and tagged Cape Town, Creche, franschhoek, south africa, Township. Bookmark the permalink.